West Maui views are astonishing. The waters in this area are calm and the hotels are excellent. Magazine readers voted West Maui as being the best island in the world. The popular West Coast can be reached through highway 30, after passing Kihei, and the road starts to wind through the mountains. This highway offers amazing views of the ocean. On the horizon, you will see Molokini, Lanai, and Kahoolawe. Many thousands of years ago, these three islands were one land. It was named Big Maui or Maui Nui. The three islands formed when the land mass started sinking. On this same side, you will find a historical town called Lahaina. Lahaina has an old port where visitors can take whale-watching tours daily. In winters the migration of Humpback Whales from the Arctic Sea, pass by to find these waters and give birth to their calves. The whales are protected by the federal government, and the shallow waters between Maui and Lanai offer a good place to raise the babies. The law explicitly says that boats and swimmers must stay back five hundred yards or more and the planes have to fly above one thousand feet to not disturb the whales. Sometimes, the whales will approach the boats. Kaanapali is another resort area, and the coast goes from Lahaina - up north - to Kapalua. It offers beautiful beaches. Here you will find the Hyatt and Sheraton Hotels, and many other luxurious accommodations. Lahaina has historic charm, beautiful beaches, and great hotels, setting the scene for a perfect vacation. Here you can find various accommodations such as hotels, condos, bed and breakfasts, and vacation homes, in many price ranges to suit any budget. The north coast is known for its luxury and being the location where some celebrities have bought homes - Tom Selleck, Magic Johnson, and Jim Carey are examples. Maui's Napili Coast offers some of the best golf courses, and two luxurious locations to stay are The Ritz Carlton and the Kapalua Bay Hotel. This charming and historical town is known for being the main whale port around the beginning of the nineteenth century. More than 500 hundred-whaler ships anchored in this port during peak times. The tiny village that only had fifty-nine stone homes and eight hundred and eighty two grass huts was able to keep up with these sailors, although this may seem a bit difficult. They came for three things whales, liquor, and women. The reputation of this town went down, known as a wild town. Soon the whale industry was replaced by the steel and petroleum industries, and the town became dormant. Around the 1970s the town's beauty was discovered once more, this time by tourists, and this industry continues to grow. Lahaina offers many great things to visitors - restaurants, eateries, shopping pavilions with oceanfront, and much more. The name Lahaina translates to merciless sun. This is because it is mostly dry and sunny thanks to the West Maui Mountain, which catches the clouds. There are a few interesting landmarks including the Banyan Tree at the corner of Hotel and Front street. The branches of this tree are over one acre. Walking north of the tree a nostalgic landmark appears - the Carthaginian II, a ship that is now one of a kind, as the first one sank in 1972. It was restored by the Lahaina History Society. The ship is now a museum containing whaling history. The Lahaina Shores Hotel is nearby and so are two bed and breakfasts - the Bambula and the Old Lahaina. The Wai Ola is located outside town, offering ocean views. This is a very charming place to stay. Another interesting spot is the Baldwin Home. It was constructed in 1838. It displays examples of missionary lifestyle of the times, about one hundred years ago. The Japanese House located on Front Street presents some old movies that were filmed by Thomas Edison when he visited the islands for the first time - this is the old Hawaii. Stretching about ten miles going from Lahaina to Kapalua is the area that encompasses Kaanapali. It was an area rich in sugar and taro. The Royal Highway was built by Chief Pililani - today, the name remains. The first resort was built in the 1960s, by one of the Big Five - companies that managed the economy in those days. The luxurious architecture of the Hyatt Regency Hotel became a model, and set the standard for resorts. A golf course that is considered a masterpiece was designed by Trent Jones. Other resorts followed, including the Sheraton Maui and the Marriott Maui. Investors developed the beautiful coastline in no time. This is why you can find a variety of resorts here and at different pricing range. A more moderately priced hotel is the Royal Lahaina and the Kaanapali Beach follows. The Kaanapali Shores and Villas also offer accommodations that are more moderate. At the Sheraton Maui you can observe cliff divers leaping off the cliffs to honor an old Hawaiian legend. The legend has it that the leina a ke akua volcanic cliff is where spirits jump into eternal darkness. This spectacle is done every night by a Hawaiian runner, dressed in traditional malo. He carries a torch and dives right into the sea. It is something not to be missed. Kaanapali has plenty to offer visitors. Here you will find five star resorts and many activities to enjoy during your stay. The white sandy beaches are gorgeous tantalizing visitors to return to Maui. 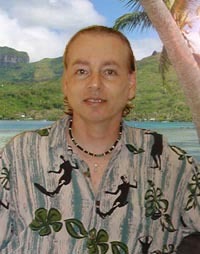 Two luxurious bed and breakfasts are Daniela's Place and Wai Ola. Wai Ola is very private and secluded. Towards the north of the Kaanapali coast, a small village named Napili rests. The attraction here is the Napili Bay Beach. Here is where the hotels and condos are located. The Napili Plaza only has a supermarket, a few eateries, a video store, and a bank. Most people visit Napili for the resort. Kapalua is found as you continue the road. It is a very historic town, full of Hawaiian lore and rich legends. Legend has it that the volcano that formed the West Maui Mountains separated Heaven and Earth. The soil was fertile here and many Hawaiians settled here. Today the Honolua Ranch has most of the island and some parts are property of the Kapalua Resort. The burial ground of Honokahua is a sacred and important site here. It dates back as far as the year six hundred and has more than nine hundred graves in it. These were found when the construction for the Ritz Carlton started. This changed the Hotel's plans and it was partly redesigned as far as location goes. In between the Punahoa Beach and the Pali, you will find the Papalaua Beach. This is a paradise for snorkeling and kayaking. The east end section of this beach is known as Coral Gardens and the west section is called Thousand Peaks. Kaanapali beach is a long beach, approximately four miles stretching from Lahaina to the north. This wide and lovely sandy beach is great for swimming, but also for snorkeling. The lava rocks around the Black Rock area at the Sheraton is the best place for doing some snorkeling. This beach is only reachable thru the resort area. It is comparable to Waikiki beach. This is more of a secluded hidden beach that is located between some hotels and condos of moderate pricing. The Lower Honoapiilani Road is the way to access it. The gorgeous bay is great for swimming and snorkeling and it has some sandy and shallow tide pools perfect for kids. It is not too popular in the winter months as high swells and some stormy conditions prevent water activities, as it is dangerous. This beach does not have any facilities. The Kapalua Beach is situated to the south of the Kapalua Bay Resort. It is known as the safest beach in the island of Maui and has been voted best beach worldwide. There is a shore reef that prevents incoming waves to the bay, making it great for swimming and safe. Views of Molokai in the distance add to the beauty of the beach. If visiting during the winter, passing whales are a common sight. This is a beautiful white sandy beach, which is fine to swim during the summer, and for snorkeling as well; however, during the winter, it becomes dangerous due to the shore break. It is important to follow and respect the red flags signs for safety. The beach name honors David Thomas Fleming (1881-1955). He once managed the Honokalua Ranch. The restaurant at the beach is managed by The Ritz Carlton Hotel.